If your city’s heat tempts you for an immediate weekend vacation or if you are planning a summer vacation then we ask you to visit the heaven on earth- Kerala. The balmy shores, majestic falls, captivating wildlife and romantic hill station is a perfect dose of vacation. Also it would be truly an escape from the scorching summer heat. The moment you enter the state, you would get a relaxing vibe due to its splendid greenery, wildlife and of course the pleasing weather. Yes, there are cities in Kerala which are equally hot as any other city in India, but we would like you to visit the places which are just perfect for your summer vacation. Places full of mountains, greenery and streams. Reach the Cochin airport and from there, plan your trip to these wonderful places of Kerala that will make you dumbstruck. We have listed the places you can visit in four days. The perfect holiday destination to beat your heat is the Munnar hill station located 1600 m above the sea level. 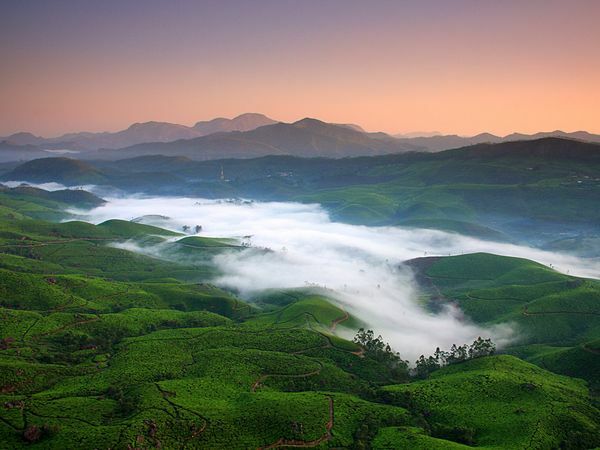 The lush green Western Ghats Mountains veiled with a mist of clouds and the breathtaking view of largest tea plantation of South India would be a visual treat to your eyes. The pleasing weather would definitely let you relax and don’t forget to sip a cup of piping hot tea, which would rejuvenate your senses. How to Reach: It is 110 km from the airport and it takes about four hours from the airport to reach Munnar. Places of Interest: Mattupetty Dam, Kundala Lake, Echo Point, Attukad Waterfalls, Chinnar Wildlife sanctuary, Vagamon (for paragliding), Lockhart Gap. Tip: Hire a car to visit the places, else if you are driving be cautious about the roads and hairpins. Enjoy the shikara boat in Kundal Lake. 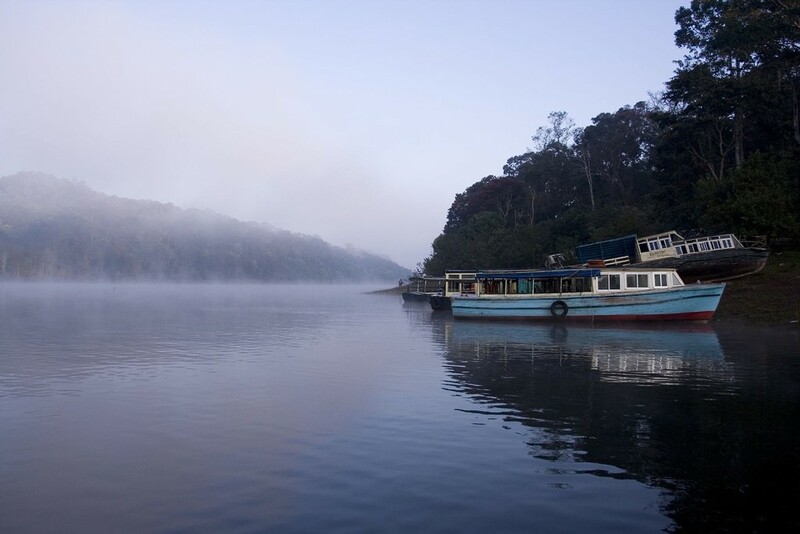 Thekkady is an abode to wildlife and is a destination for wildlife lovers. This place is also called the home of elephants and apart from wildlife you can even enjoy the serene jungle walks. How to reach: From Munnar the distance to Thekkady is 110 km which would take about 3 hours drive. And from the Cochin airport it is 130 km and would take 3 -4 hours of drive. Places of Interest: Periyar Wildlife sanctuary, Kumily, Periyar Tiger trails, Chellarkovil (known for waterfalls), Grampi (hill station), Gavi (for nature lovers), Deepa World Spice and Ayurvedic Garden. Tip: Elephant ride should be on your list, enjoy the spice walk and eat at Bamboo cafe for perfect Kerala cuisine. This is the most recommended place for relaxation. The scenic view will make you forget your hustle bustle life and take you to a whole new world. The rich coconut groves, backwaters, dense forest, rare bird species is sure to make you fall in love with this lovely hamlet. This is a perfect place for nature and bird lovers. How to reach: The distance from Thekkady is about 123 km which would again take you more than 3 hours to reach Kumarakom, whereas from the Cochin airport it takes an hour to reach this place. 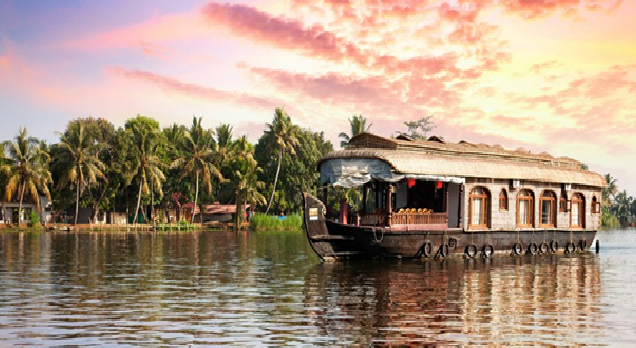 Tip: Taste the authentic food of Kerala at Karimeen and spend a night at the houseboat. This stunning place is also known as the Venice of East and is very famous for the beautiful and relaxing backwaters and beaches. If Kerala is your honeymoon destination, then Alleppey is a must visit destination. The scenic beauty, shimmering backwater and beautiful sunset will completely mesmerise you. 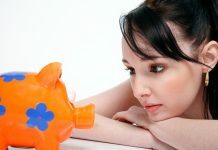 These days Kerala tourism packages are the most sold packages for honeymoon. How to Reach: Travel at night from Kumarakom to Alleppey by houseboat which would take 21 hours, else by road it takes an hour to reach Alleppey. Places of Interest: Alleppey beach, Marari beach, Krishnapuram Palace, Pathiramanal Island, Karumadi temple, Nehru Trophy Snake Boat Race. Tip: Revitalise your senses with Ayurvedic spa, enjoy the snake boat race, and during the peak seasons book in advance your house boat ride. Before catching your flight, do take a view of the Queen of Arabian Sea- Cochin. The city is beautifully decorated with European historic beauty as well as the stunning beaches. As this place is the hub for trading; you can find the mix of cultures and you would get spicy and variety gourmet. How to Reach: From Alleppey it takes 1 hour to reach Cochin. 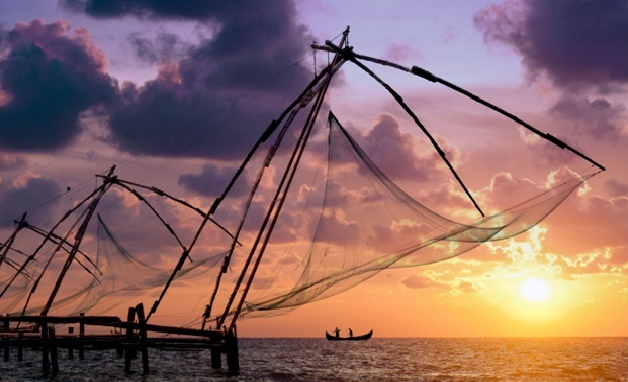 Places of Interest: Fort Kochi, Chinese Fishing nets, Princess Street, Jew Synagogue and Jew Town, St. Francis Church, Cherai beach, Dutch Palace, Vypeen Island Zone, Kerala folklore theatre museum. Tip: If you have time then watch the famous Kathakali dance, watch the dolphins at the Cherai beach. The bus facilities are amazing so you can visit the places by bus. Even a week wouldn’t be enough to discover the fabulous Kerala. 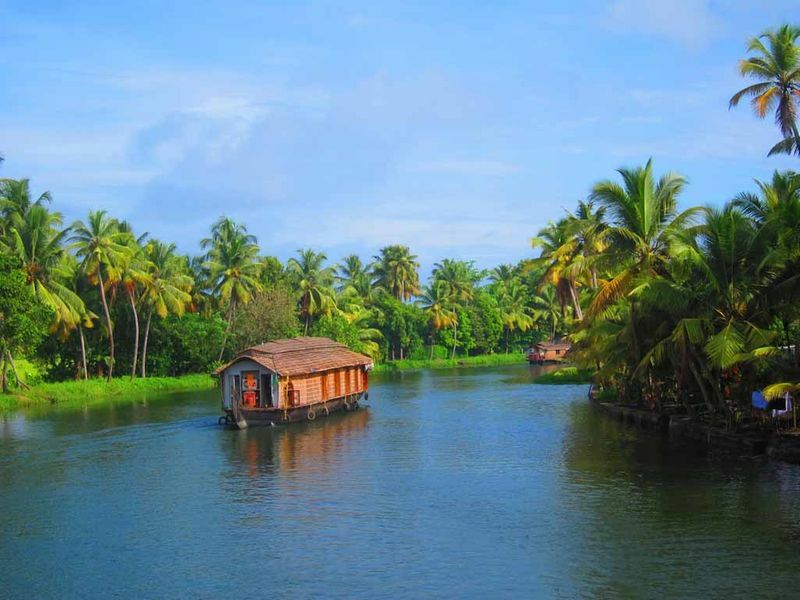 However whatever time you have, make the best of it by visiting the serene and picturesque Kerala. Let us know which of these splendid places is on your bucket list. I am Biju. I am from Palakkad in Kerala and settled in Bangalore as a Tour Operator. 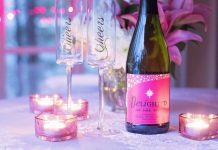 I have read your Blog regarding best places in Kerala , but really you missed out few best tourist hot spots in Palakkad during your Yoga Course, held at Kairali Resort, Palakkad. But I guess you didn’t even visit any of Palakkad Tourist attraction. At least the Kairali Management should have inform you about the same!! Palakkad is blessed with so many wonderful attractions rather than other tourist spots in kerala. Malampuzha Garden and Dam in Palakkad received 5 star grade award from TripAdvisor USA last year and also declared as Top No 01 Tourist Hot Spot in Kerala for 2015. Palakkad is a Heritage and Leisure Spot in Kerala as well. Palakkad Fort, Chinmaya Mission Sri Guruvayurappan Temple, Jain Temple, Thiruvalathur Randu Moorthy Temple, Kalpathy Heritage Village+ Temple Complex are few of the best heritage Spots in Palakkad. Out of this, Palakkad Fort and Kalpathy are proposed UNESCO World heritage Sites in India. Hope these attractions will get this reward soon. Nelliyampathy Hills, Silent Valley National Park, Parambikulam Wild Life, Siruvani Forest, Dhoni Forest, Kanjirapuzha , Meenvallam are other major tourist hot spots in Palakkad. Out of this, Silent Valley, Parambikulam & Nelliyampathy are UNESCO World Heritage Sites in India as part of Western Ghat Sector in Nilgiri Biosphere. 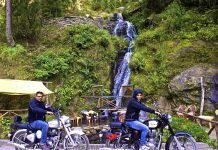 Wow,, amazing list.. thanks for sharing.. will refer your post when we plan Kerala trip..